Massive bait ball triggers shark feeding frenzy. 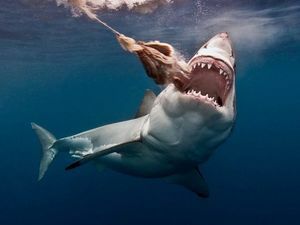 News Hunting for great white sharks could start next year following a study to determine how many of the killer fish lurk in Australian waters. Environment THOUSANDS of tiny fish, hundreds of sharks and a three-day bait buffet off the Australian coast.